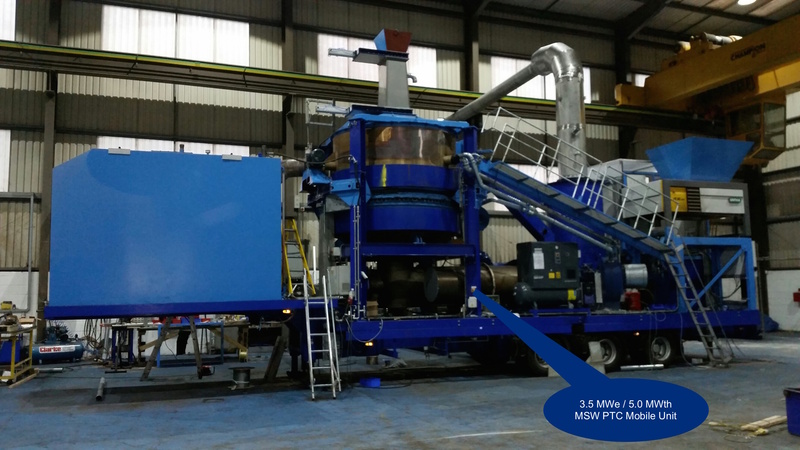 Technical Partners is partnered with SHREWS Ltd. of the UK (http://www.shrews.co.uk) in providing services and systems related to energy from waste and/or biomass in Combined Heat and Power (CHP) plants using Advanced Thermal Treatment Technology (ATT). 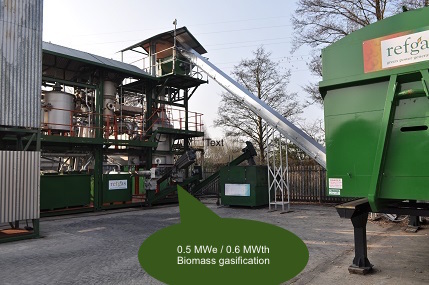 ATT is based on the principles of pyrolysis and gasification. ATT achieves a very high efficiency of energy generation and thermal recovery, enables processing of a wide range of biomass and/or waste and is economic at a small, local scale. Biomass (e.g. crops, grass, compost, timber, residue from agricultural production, sewage sludge) and/or waste (e.g. municipal solid waste, hazardous waste, tires, oil sludge, pesticides) can be transformed into a gas using gasification and pyrolysis. Note: some technologies can only use biomass. The gas is used to generate steam for use in a steam turbine or direct fuel a gas-engine producing electricity. The waste heat can be used for heating or refrigeration. Residual waste, that which remains after removal of useful recyclable material, is typically 60% biomass (or biodegradable materials). The use of waste as an energy source thus removes the need for landfill, with its associated problems. EfW is also a disposal route for hazardous materials. To the waste producer, EfW reduces costs and to the power producer, the fuel is a revenue stream. a solution to waste management problems. The main advantage of this technology is the high efficiency achieved over conventional mass burn/incineration or boiler systems. Because of the way that ATT technology works the emissions are cleaner than from incineration, such as no fly ash, so the gas clean-up requirements are less, meaning higher standards of operation and lower capital and operating costs. There is no clear definition of what is meant by small but typically we would look at plants between 0.5 and 10MWe output. This keeps fuel supplies local, gives more opportunity for recovery of the heat to local uses and means easier connectivity to the grid. If biomass is used, this means fuel costs will be significantly less. If waste is used, there is the possibility of earning income from processing waste. In theory, this is all wonderful: green energy production solving waste issues, using renewable energy sources or decreasing fuel costs. But it isn’t quite that simple. Although the principles are old, the technologies are new. Technology improvements are patented or carefully guarded secrets. Not all suppliers will be able to offer the same technical solution. Although some systems have been around for some 30 years, many are in the late development stages and have not yet proven themselves in the field. Major changes and improvements have taken place in the last five years and have to be considered carefully before investment decisions are made. Gas fired boilers use one fuel. 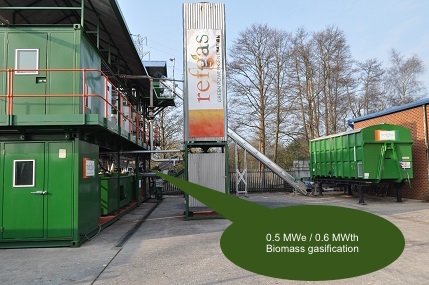 Gasification systems use a wide variety of fuels, all with different chemical and burning properties. Particle size and moisture content play an important role, as does source of supply, hence what goes in will affect what happens inside the EfW/B plant and what comes out. This issue cannot be taken lightly. Many clients work as if they are buying a car. Investing in a CHP plant is somewhat more complicated. Many questions need answering to determine the economic and practical feasibility. Heat and electricity output requirements must be known, as well as the nature and source of the fuel(s) to be used, labour costs, environmental laws, etc. Income can be earned from electricity and heat sales, and in the case of waste processing, from avoiding gate fees and environmental taxes. The energy from the biodegradable element of the fuel can also attract „green certificates”. Technical Partners and SHREWS have been involved in energy from waste and biomass since 1997 with its own development projects, and with other projects helping clients chose equipment. We have seen many others fail and experienced difficulties ourselves, but through this we have developed a methodology that should be used by everyone to first determine if a CHP plant is even appropriate, and if it is, to make sure the project is successfully implemented. This starts with a Scoping Study that identifies the client’s conditions and associated costs. This includes all the questions associated with such a plant covering fuel, costs, incomes, regulations, etc. This is actually a comprehensive questionnaire based on our experience. We also have a specially designed financial model which quickly provides payback information once the data has been inserted, and based on rough estimates for equipment costs. This provides the preliminary economic basis for the project and takes only some 10-15 man days to complete. The development of a scoping study relies on the experience of our specialists and normally is a good learning experience for the client. The report is the property of the client. Costs related to the scoping study are refunded to the client if the client purchases equipment represented by our group. Otherwise, this should be treated as a consulting/information gathering expense. Next is the User Requirement Specification (URS) based on the findings of the Scoping Study. The URS provides the information needed by the equipment supplier to provide a good budget quote, and allows a comparison between suppliers who are quoting on the same thing. This will give a much better idea of possible costs and will be the basis of the next step, possibly an engineering or full feasibility study. If the Client has information readily available, the URS may be prepared as part of the Scoping Study. Once the URS is available, we are in a position to suggest an appropriate technology. This process saves everyone time and avoids confusion, and we would be happy to provide assistance to anyone wishing to implement a CHP plant project. For more information, please contact me at ed.kalvins@tpriga.lv.